Stay hydrated in style with the S'well 17oz pink topaz water bottle. This thermos is part of the brand's Stone Collection and features a texture matte finish for better grip. 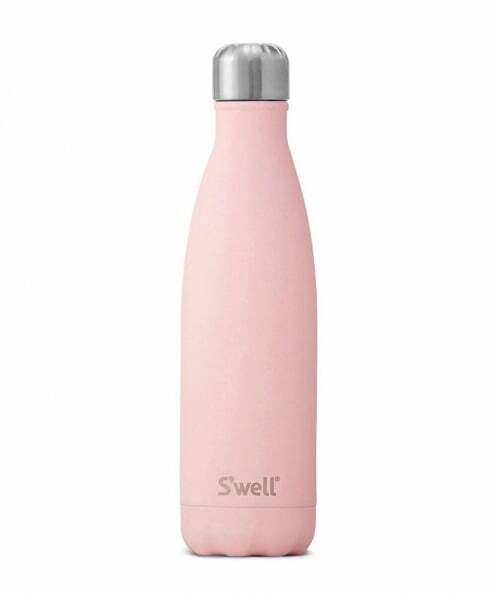 S'well bottles are crafted from double walled stainless steel, which means they can keep your cold drinks cold for twenty four hours and your hot drinks hot for twelve hours. The bottle also features a vacuum seal and screw top.